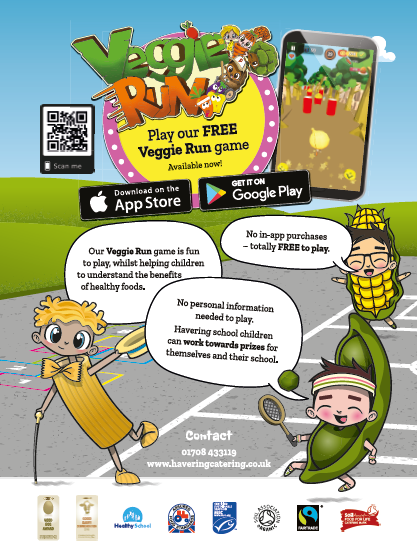 Clockhouse Primary School: Veggie Run - help our school! 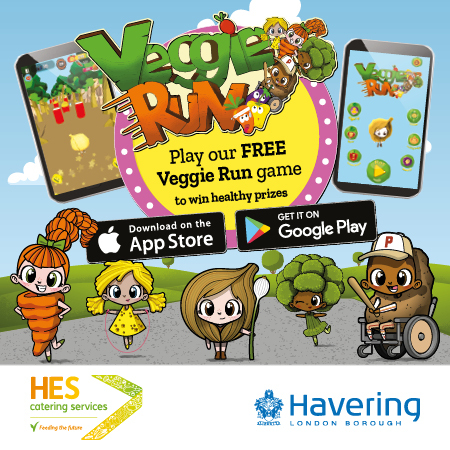 Veggie Run, the newly developed healthy app only for Havering Primary and Junior school children launched last week. The app aims to create healthy competition amongst primary and Junior school children, where they learn to dodge unhealthy foods and get rewarded by collecting fruit and vegetables. The main advantage for pupils downloading and playing this app, is that pupils can win your school sports prizes!! These prizes are worth up to £200! Each term Havering Council will reward the top performing primary, junior, infant schools and pupils with the following prizes. SQuid - Each term the top performing twelve students on Veggie Run will receive one week’s worth of meals (5 x £2.20) applied to their sQuid catering purse. 2 bikes per term for the top performing girl and boy aged up to 11 years old plus cycle helmet. Buy one get one free swimming at Hornchurch & Central Park Leisure Centres (250 children will receive vouchers directly via the game until September 2018) One parent can swim for free if child is aged under at eight years. If any pupils/parents wish to support the app online please use #VeggieRun, as we would love to capture feedback. If any children have any budding ideas about how we can promote Veggie Run we would like to hear from them, as they could become the face of Havering’s Veggie Run.